Glasney College history | Cornwall For Ever! Glasney was a large church and college. 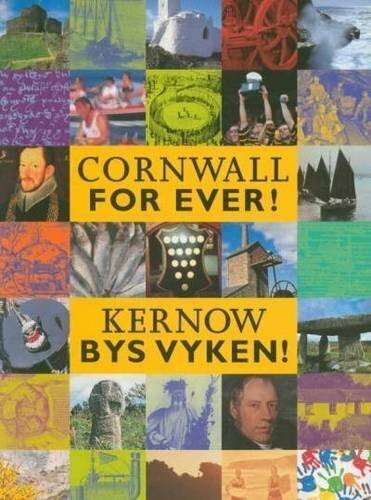 It grew to become a very important centre for Cornish language and culture. It was closed by the English government in 1548. Around the year 1265, the Bishop of Exeter had a dream that he should visit a place called Polsethow near Penryn. There he would find a willow tree and a swarm of bees. The Bishop was told to build the altar of a new church where the willow tree was growing. He later travelled to Penryn, found the willow tree and bees and began building Glasney College on 25th March 1265. There had been an ancient Cornish prophecy which said “In Polsethow ywhylyr anethow”, which means in English “In Polsethow shall habitations, or marvellous things be seen”. Because of the Bishop, it seems this Cornish prophecy came true. The first Provost (Head) of the College was William Bodrugan. The Bodrugans were an important Cornish family. Glasney College developed to become Cornwall’s most important centre of learning. For nearly 300 years the college promoted and protected Cornish language and culture. It was at Glasney that the Cornish miracle plays the Ordinalia and Bewnans Meriasek (The Life of St Meriasek) were written. These plays would have been performed in a plen-an-gwary or playing place at locations across Cornwall. When the English government changed religion from Catholic to Protestant, it closed and destroyed many monasteries and other religious buildings. Glasney College was forced to close in 1548. Because the college was so important to Cornish language and culture, closing it made Cornish people very angry. Eventually their anger would lead to the Prayer Book Conflict of 1549.